Utopian Public Poll 12/09/2017. The Results. In Utopian.io we have been running a public poll to make the decisional process democratic. The public poll is on Discord. Changes to the rules and to the platform were discussed and soon implemented during the Utopian Poll 12/09/2017. I just created the insta-bury term? Copyright @nehomar just in case. I like this initiative and support it. However steem is a pretty positive place and I think you are going to get a lot of Yes responses (there are 26 Yes above, and only 3 No). It may be worth analysing the results and implementing some kind of threshold (e.g. 60% or 66% two thirds majority). As someone living in a country basing its future on a 51%-49% majority, I'd argue it doesn't always produce the best result! 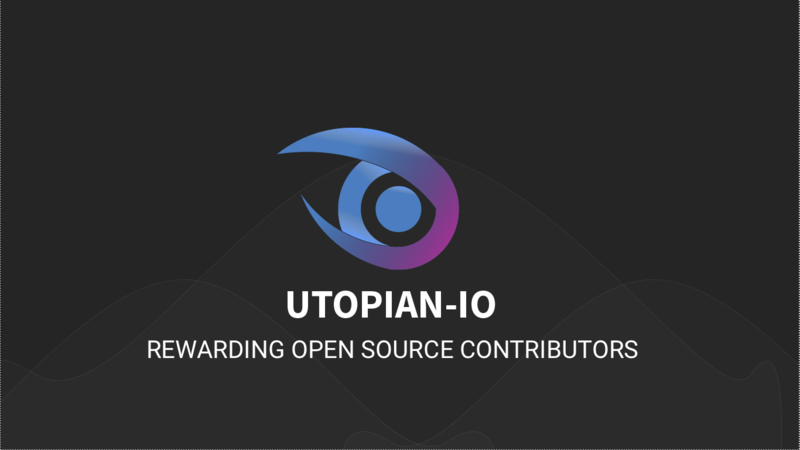 No, in Utopia.io you get rewards here on steemit for colaboration on open source projects. If you have Any skill (coding, translation, writing, analysis, and others) you should try It. Check the utopia.io page to see If there is a way for you to contribute, If you find the Idea interesting enough. hello, I have an idea but I don't want to use my password on utopian, can I propose it ? Well, you can propose here on steemit, but If you Join utopia.io If you Idea or contribution is a quality one, you get upvoted from moderators that have big accounts, and you get a big reward. Like they say, posting only here "you are by yourself"
I dont think there is Any problem in joining, because they use the steemconnect API, and your password isnt stored by then. the problem that they don't accept the posting key, but just the active key, I need just to post there why they need my active key. The active key is used to make transfers and place orders in the internal market. Why they need that if I want just to post ! Whatever happens, happened by the decision of whole community and i am proud to see it! Thank you utopian for everything you have done for. Very good poll questions. I see @Utopian-io on the moon already. Being the first platform to ever reward open-source contributors is no small feat. @elear has been on the mantle of leadership a powerful STeemian with an imaginative mind. so the limit would be shown on utopian platform or what? @utopian-io I yearn for a name here. hahahha. Can it?? in what way? I just voted you as a witnesses. It really seems you know what you're doing.